Romans 3:19-31 UNDER THE LAW will not justify our sins for salvation. 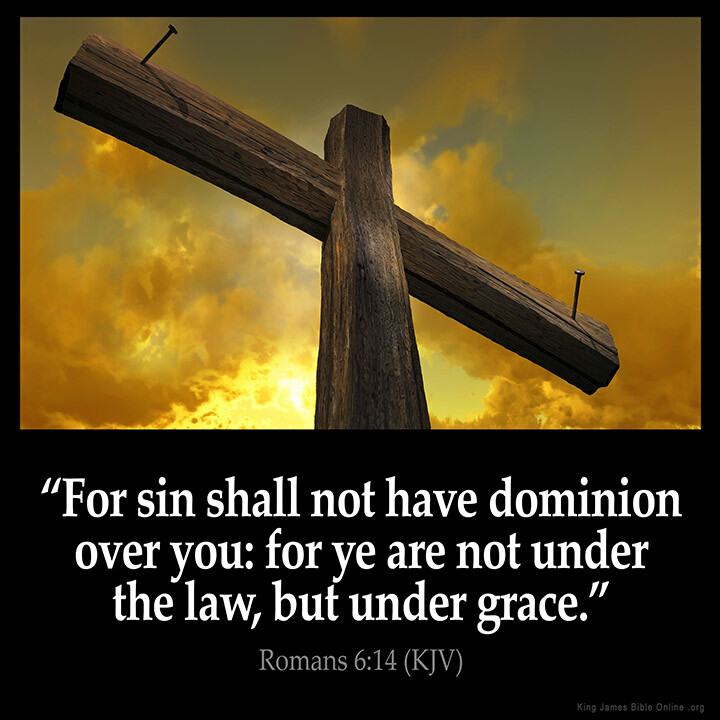 Romans 6:14-15 Under Grace not UNDER THE LAW. Romans 7:6-7 Delivered from the Law, we should serve in newness of the spirit. Romans 9:31-32 Israel failed God, trying to live UNDER THE LAW because of lack of faith. 1 Corinthians 9:20-21 Paul preached to the Jew (UNDER THE LAW) and to the Gentile (Without the Law) Salvation thru Christ. Galatians 2:16-21 UNDER THE LAW no justification. Only thru faith in Christ (Death Burial and resurrection) can one be justified. Galatians 3:10-13 UNDER THE LAW, cursed! Faith in Christ, redemption. Galatians 3:17-24 The reason for the LAW. A schoolmaster to bring us to Christ. Galatians 4:4-5 God thru Christ redeemed them that were UNDER THE LAW. Galatians 5:3-4 Debtor the whole LAW or justified by faith. Ephesians 2:15 Christ, in his flesh, abolished (UNDER THE) LAW of commandments. 1 Timothy 1:7-9 Paul gives Timothy warnings about UNDER THE LAW. Titus 3:9 Also to Titus he gives warnings. To the Jews (Hebrews) Paul recites what it meant to serve God UNDER THE LAW (7:19) and how faith in Christ fulfills the Law.